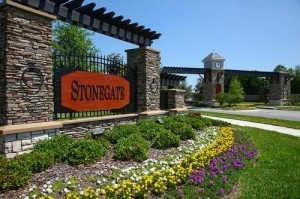 Stonegate is a gated and deed-restricted, community of 309 distinctive homes by Tampa builder, Southern Crafted Homes. Located in Land O' Lakes, Florida, Stonegate is ideally situated to offer a private, peaceful setting abundant with trees and lakes. The community includes a clubhouse with pool and workout facility and is also convenient to major roadways, shopping, restaurants and entertainment.